Mackinac Island Gifts offers an array of items from books to puzzles. Welcome to Mackinac Island Gifts. Marcia and Kathy have added some of their favorite items. You are sure to find a memento that will remind you of your fun-filled vacation. Topping our list of Mackinac Island Gifts is the MACKINAC ISLAND COTTAGE COOKBOOK. Whether you savor good food, like original art work, or just enjoy reading through a book that combines personal comments with good food and fine art, this cookbook is the perfect souvenir or gift. Perhaps you would like to send a thank-you to someone for making your Mackinac Island vacation memorable or give an Island gift to announce an upcoming vacation. The possibilities are endless! This mug is a great choice for your morning beverage or late night brew. Great gift for someone special or perfect for yourself! 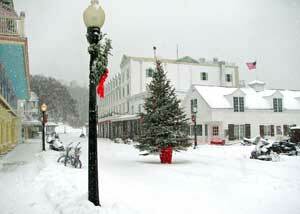 Mackinac Island Gifts online presents books about the Island. is an accomplished author and historian. This is an exceptional book! is the Director of Fort Mackinac. His books are interesting and informative. spent his life as an Island summer resident who is well remembered and admired for his art work and music. This book is filled with beautiful photographs of Mackinac Island, Michigan. The legend is delightfully told in this beautifully illustrated book. Mackinac Island ghost stories, legends and tragic tales. Informative history and rare images of Mackinac Island. Great Story of an Indian girl who grows up on Mackinac Island. Give children a beautifully written book about sled dogs and their special challenges. 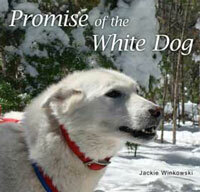 Jackie Winkowski is the author of these books, all based on real experiences and actual dogs! CLICK HERE to learn more about these wonderful stories. CLICK HERE to see special Island gifts featuring horses and the Mackinac Bridge. Read about historian and renowned Michigan Author, Brian L. Dunnigan. He has spent every summer of his life on the Island! To read an informative interview with Phil Porter, CLICK HERE! Phil is also a life-long summer resident of Mackinac Island. Get information about Voices of Michigan, an Anthology of Michigan’s Finest New Authors. This book has been compiled by Jane Winston and Mary Jane Barnwell. Do you have a Kindle yet? Read your books in high pixel density and see images with color accuracy. There is no longer a need to pack lots of books for travel. You only need your Kindle! Island books and mementos are a wonderful way to remember your Mackinac Island vacation. If you can't make it to this unique Island, reading about it and enjoying the many images available will be the next best thing! We hope you will share our enthusiasm for these special suggestions. Best wishes for Happy Memories!